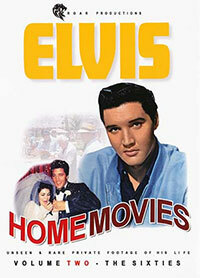 Roar Productions will release volume 2 in their DVD series of Elvis home movies, containing rare & unseen private footage. For the very first time this 3 DVD set focuses on Elvis, The Man, Off Stage through 3 decades. See Elvis through intimates’ moments surrounded by family or friends, through events that marked his life. These 3 volumes will help you discover Elvis life via rare & unreleased digitally remastered footage. Volume 2 - The Sixties: See Elvis on vacation in Hawaii, enjoying the snow in Colorado, meeting his fans, together with Tom Jones and much more. Sit back and enjoy a journey of Elvis in private throughout the 60s, in the best quality.